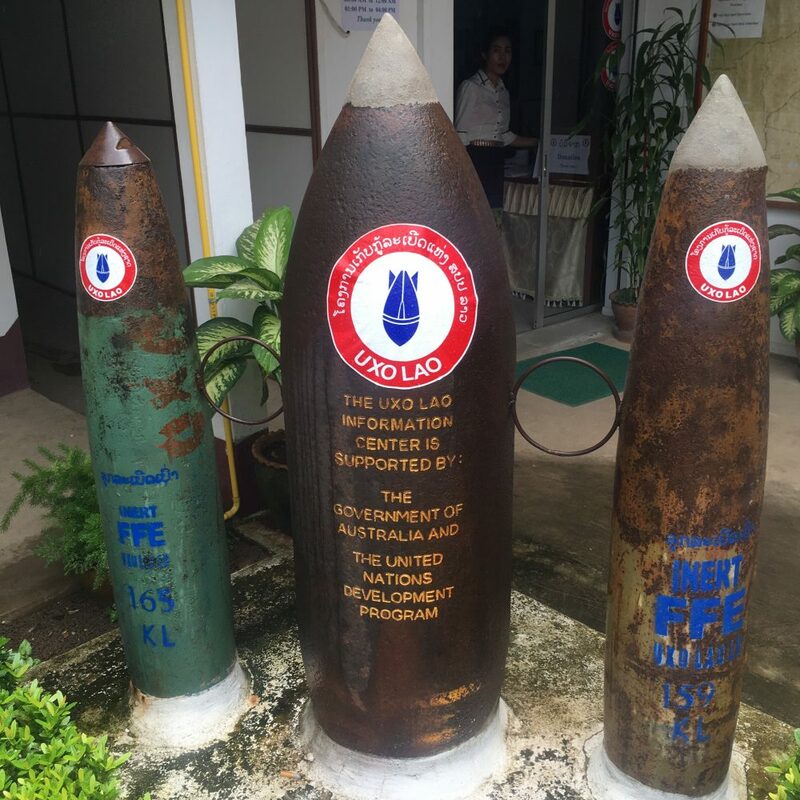 I was lucky enough to visit the UXO Laos visitors centre in Luang Prabang and also the COPE visitors centre in Vientiane (the capital of Laos) both very interesting centres about the involvement Laos had in the Vietnam war. I certainly had no idea about the history of the ‘Secret War’ in Laos, there is a lot of information about it here. Essentially between the years of 1964 – 1973 Laos ended up being the most heavily bombed country in history. The U.S dropped over 2 million tons of ordnance on Laos – ‘equal to a plane load of bombs every 8 minutes, 24-hours a day, for 9 years’ – (figures taken from legaciesofwar.org). It was fought between the Communist Pathet Lao (including North Vietnamese) and the Royal Lao Government, each side received a lot of support from the global Cold War superpowers. 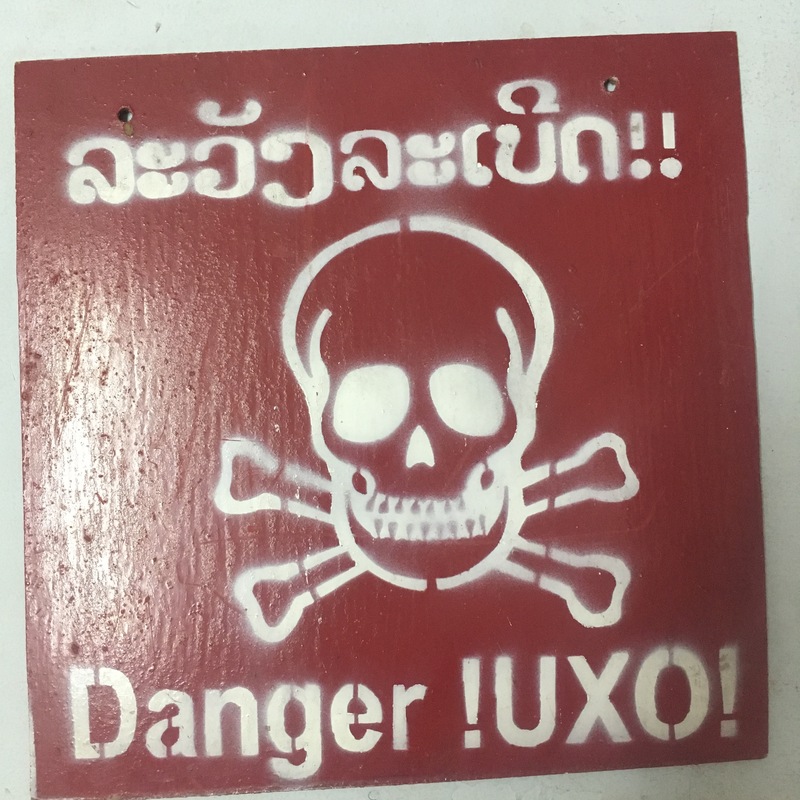 These visitor centers are doing amazing work to try to raise awareness of the continued problems of UXO (Unexploded Ordnance) in Laos, which was left over from the Secret War and still has devastating consequences for the people of Laos. 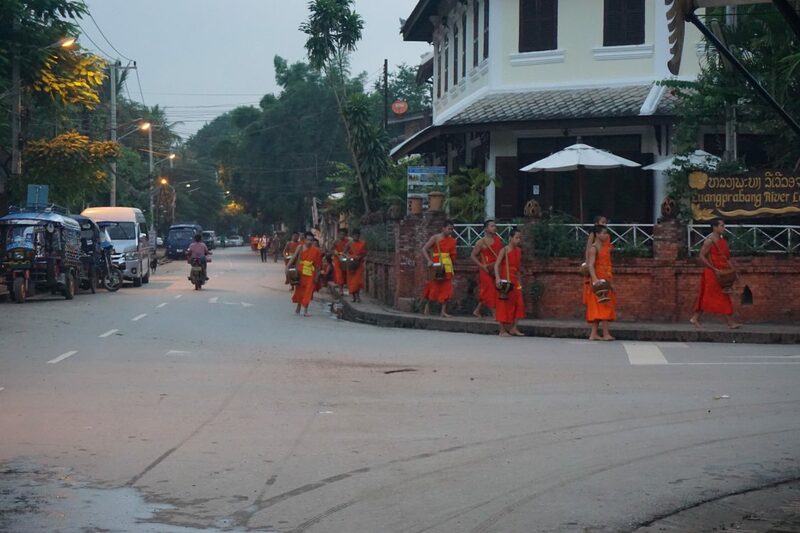 Men, women and children continue to die or be injured from the UXO found on land and farms all over Laos. The COPE centre is a local not-for-profit organisation who actually help to provide prosthetic and orthotic devices for those survivors. Both centres are doing amazing work, and it was very sad but so informative to visit both of these amazing centres. 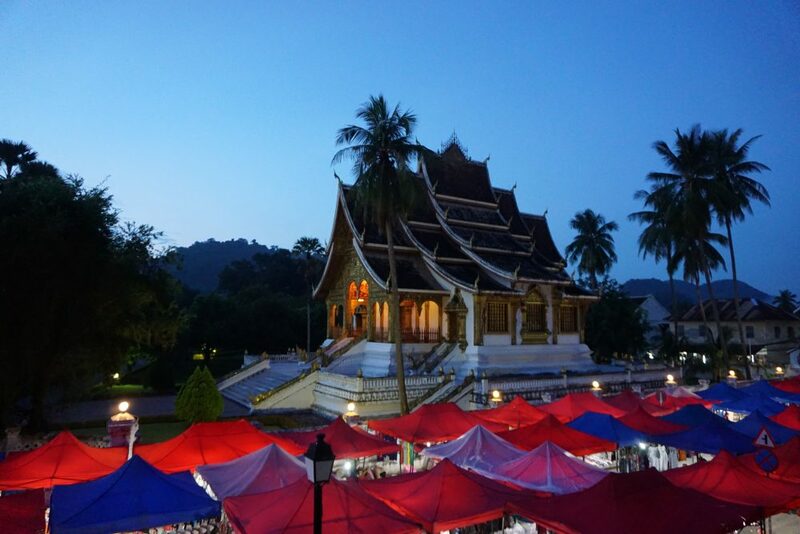 Vang Vieng is a small town located about 4-5 hours south of Luang Prabang. 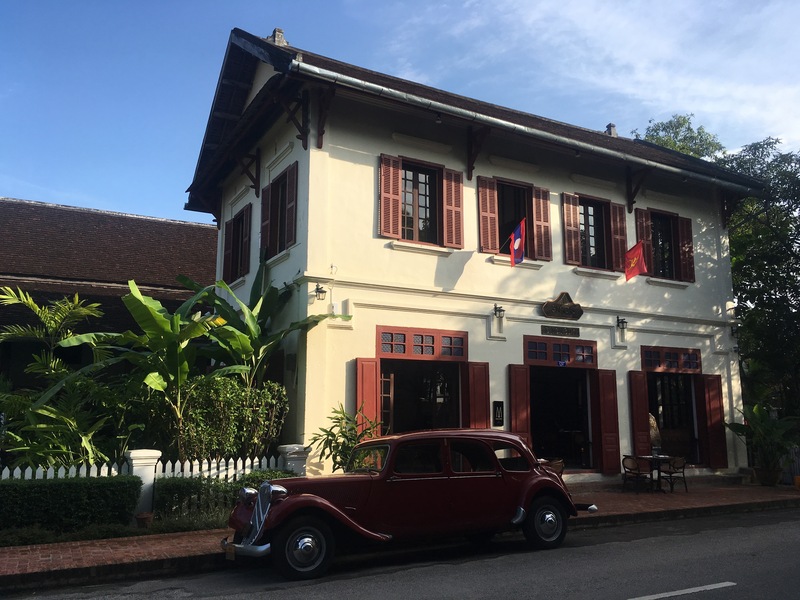 I had heard a lot about this town before I even left for my travels, mainly in regards to the notorious ‘tubing’ down the Nam Song river and the ‘Friends’ (yes, the TV show) cafes which had made it famous with backpackers. The ‘tubing’ was run by local villagers who had opened up bars along the river, backpackers would rent the tubes and go slowly down the river stopping at bars along the way. However inevitably it got a little out of control and a few tourists drowned whilst doing it. 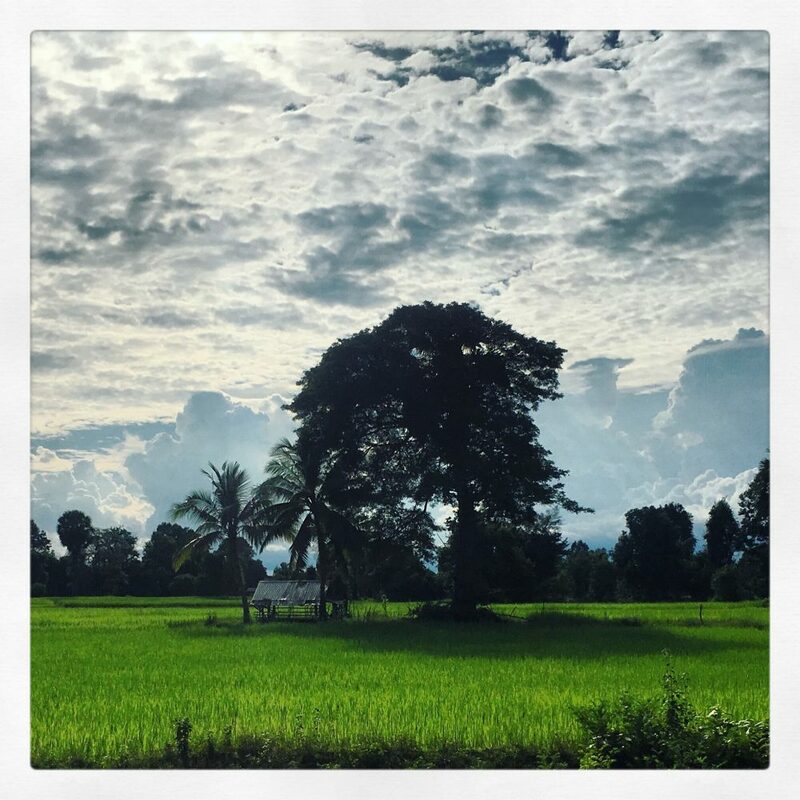 When I arrive a lot of locals told me that the international community got involved and the Laos government had to intervene and told villages to pull back on the industry. Sadly but understandably a lot of locals lost out on what had been a very good business for them. 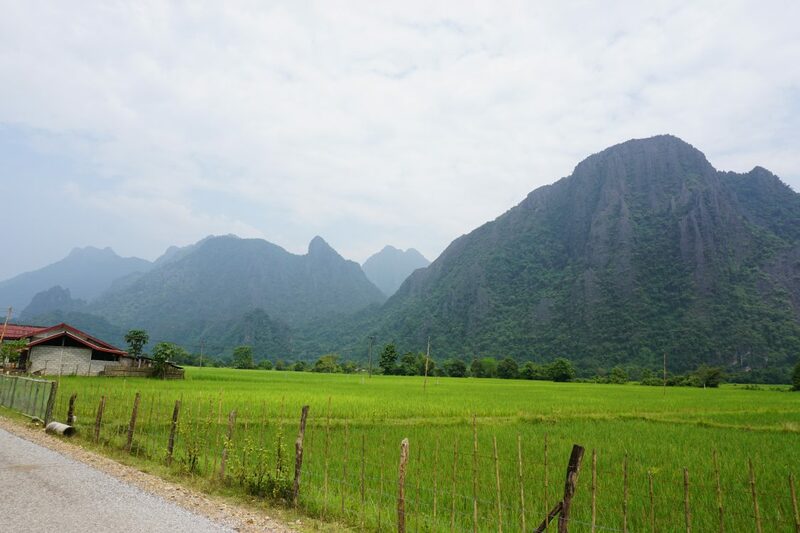 I really wanted to go to Vang Vieng, and yes I did do the tubing, but found it had lots more to offer as a town. I loved Vang Vieng, this small town is beautiful with stunning limestone cliffs scenery and lush green forests. 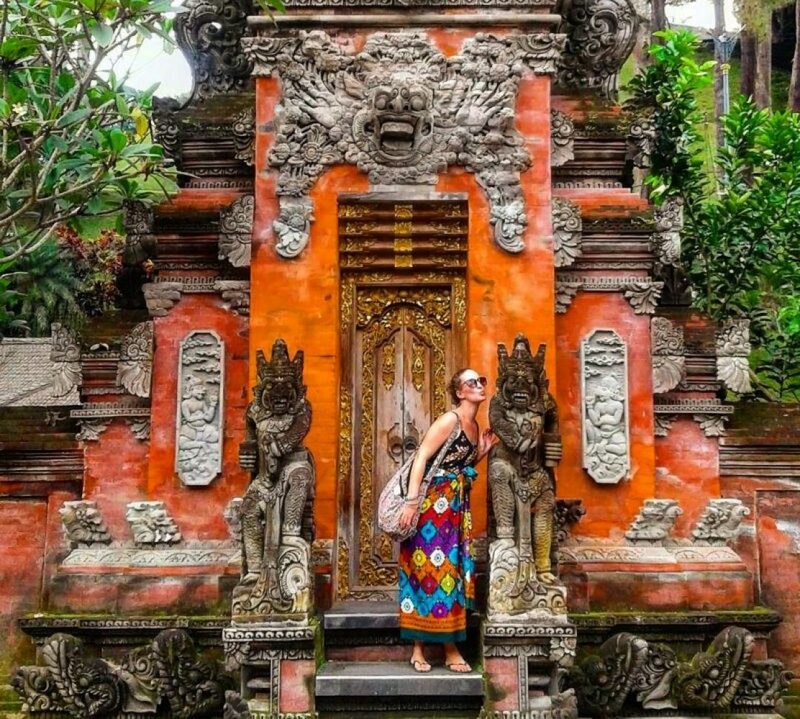 It is becoming a much more family friendly place, with kayaking, Blue Lagoons and many beautiful places to visit. I ended up hiring a scooter with a friend and we just went exploring which was a lovely day. I also ended up doing kayaking on the Nam Song River which was beautiful. 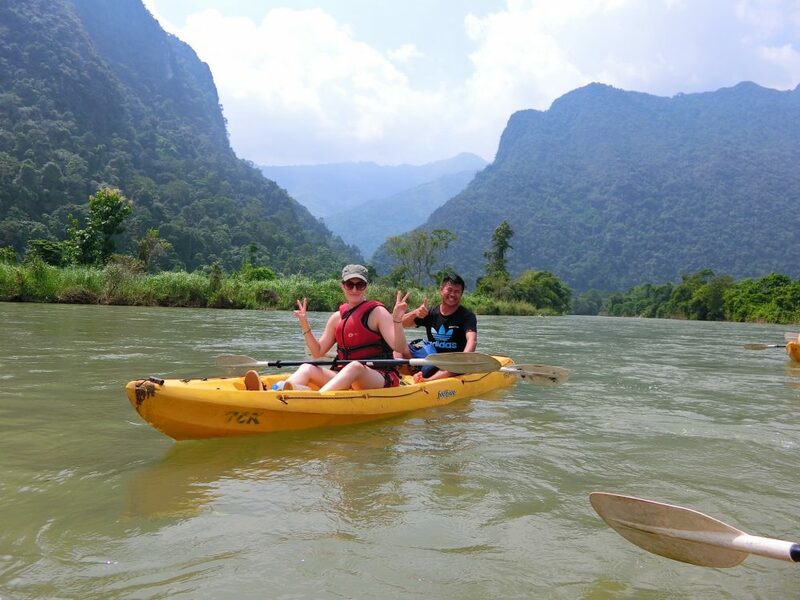 Kayaking down the Nam Song river in Vang Vieng, Laos. 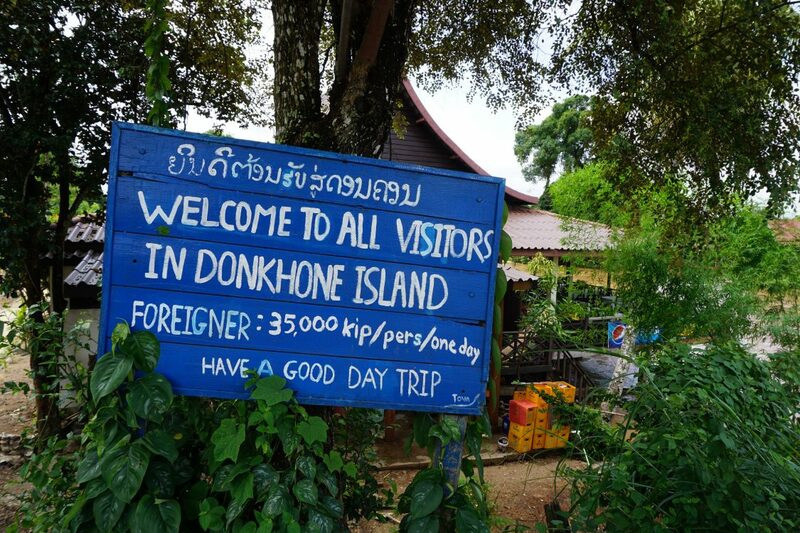 I also managed to make my way down to Si Phan Don an archipelago of islands in the far south of Laos bordering on Cambodia. It is known as the ‘Four Thousand Islands’ and I ended up staying on Don Det the most popular one. When I read about these islands they were described as ‘hippyesque’ and ‘laid back’ – perfect for my last few days in Laos! It took me a night bus (from Vientiane), a mini bus and a boat to get there but it was worth the long journey. I met up with friends and we spend our days lazying around in hammocks and cycling around the islands. I also went in search of the rare Irrawaddy Dolphins which are spotted off the island of Don Khone. We ended up on a very tiny boat for an hour in search of them and in the end we saw what could have been a fin.. the locals swore it was one of the dolphin but I wasn’t so sure! Still a great trip on the Mekong River and beautiful to see.